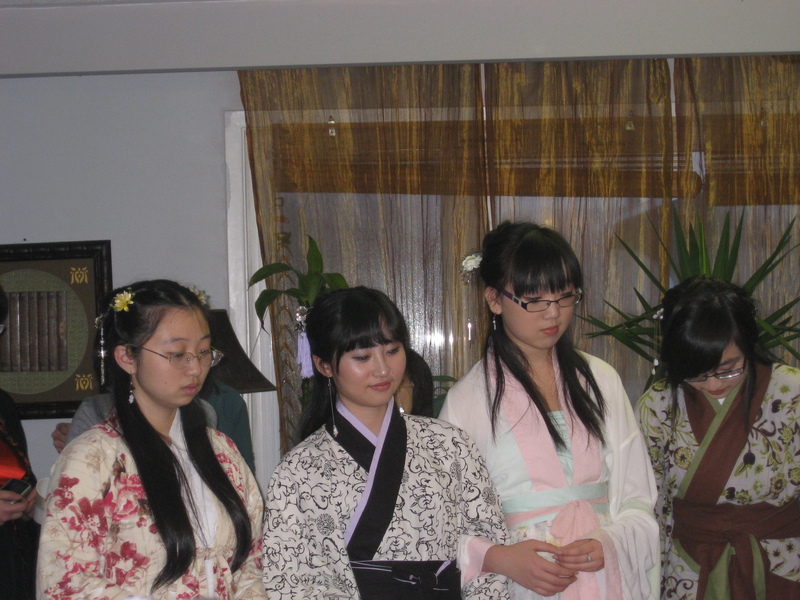 Mid-Autumn TQS Gathering: Plan with us! Won't be indoor, this time though. 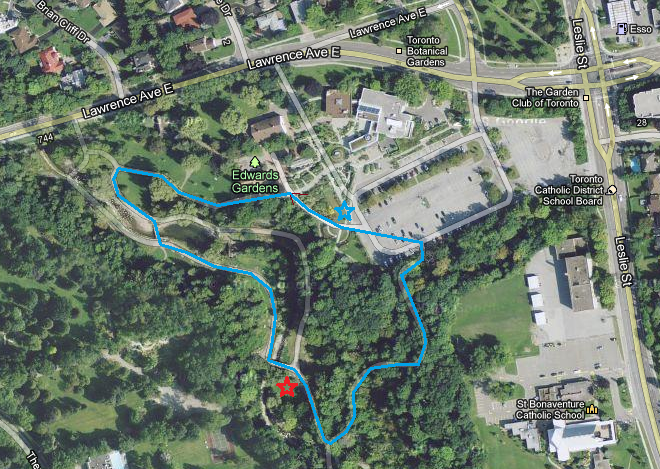 Our next meeting is scheduled for Sunday, September 11, 2011 sometime in the afternoon, tentatively located at Toronto Botanical Gardens. 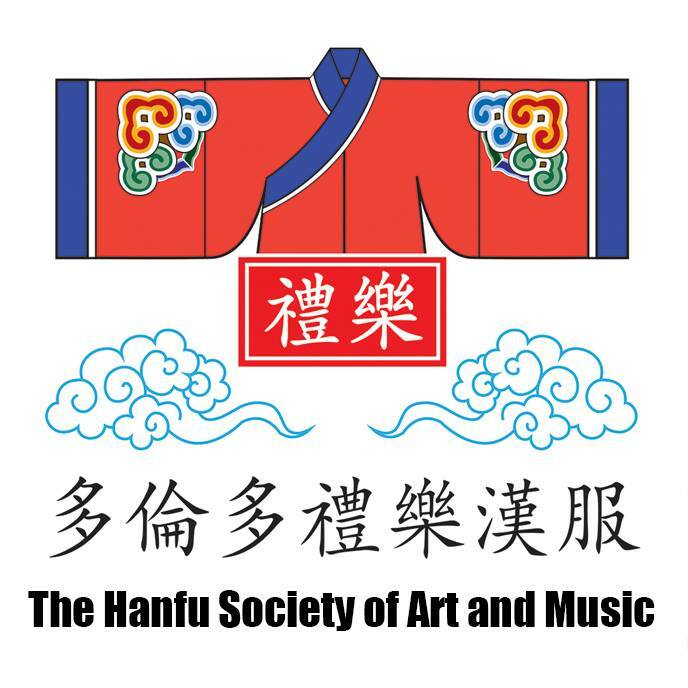 We welcome all people in the Greater Toronto Area to join us for a day of fresh air, guqin music, various exotic plants and trees, and maybe even mooncake to boot! However, in order to make this happen, we will need YOUR suggestion as to what time and whether you are available or not. So leave a message here, or see and mark the Facebook event located here! The plan for the day: We meet up outside Edward Gardens near the Water Garden, then take a nature hike to a grassy area south (red star), where we will sit down and enjoy music and chat casually for 1/3 of the session, then take the route back to the parking lot, and regather at the Botanical Garden's patio area (NE area, where the "Edward Gardens" label is) for food and drinks and more music. Wandering in the formless? There’s an app for that. 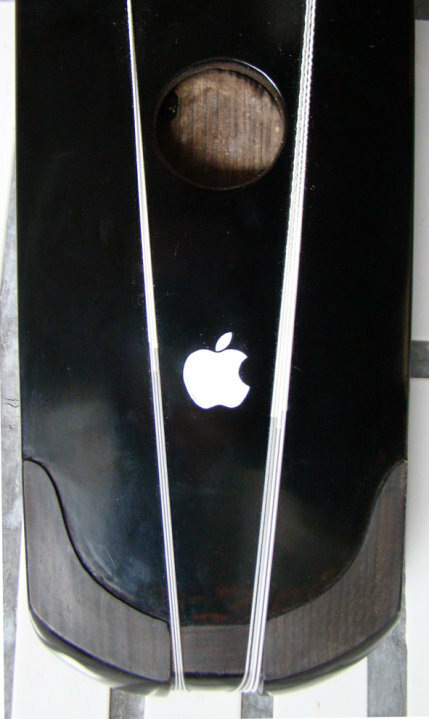 Years ago, a gag photo of a qin labelled with the famous Macintosh Apple caused quite the laugh and musings of the Facebook qin community. “Introducing the iQin. Wandering into the formless? There’s an app for that.” was the catch of the day, and now such dreams are realized. …OK, so it’s NOT actually called the “iQin”. For now. While this app is not a proportionate representation of an actual qin (we’d need one LOOONG iPad for that – perhaps we need an iScroll? ), it accurately portrays the physics of the unfretted instrument. For the uninitiated for the qin, there are alternative markers for pitch positions in similitude to the guitar – frets, as well as guitar markers are switchable options in the settings. Maximizing the customizability of digital programming, this app gives the chance at making the qin interface a virtual string-synth for classic qin sounds, as well as the zheng, koto, shamisen, and three flavours of guitar. Compared with other apps like iKoto this app has still much room for feature development in terms of professional qin know-how (eg. preset qin repertoires and set tunings for strings), and the plucking interface still seems relatively raw (an ideal would be changing the timbre of the instrument to reflect in/outward flicking), it shows much promise in development. 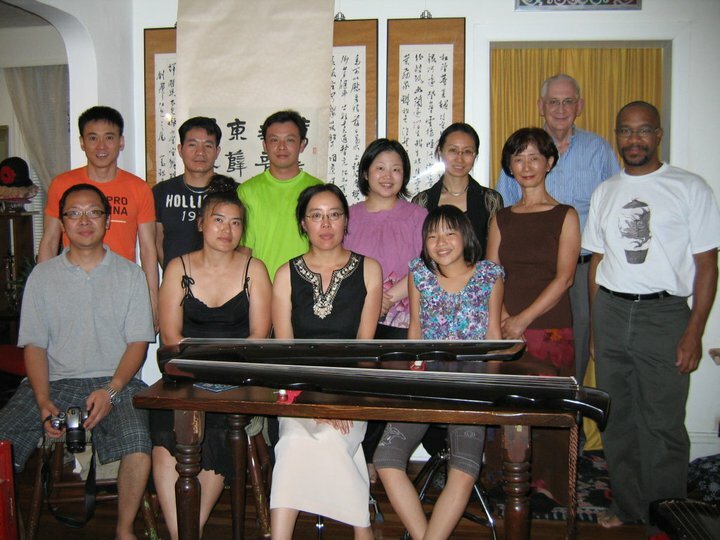 While the catchphrase describes the qin as the “Chinese violin guitar” hurts the ears of the community, we can oversee that in prospects that this project may be the consumer breakthrough for digital guqins and digitization of guqin music ever since Chen Changlin’s guqin MIDI project in 1987. 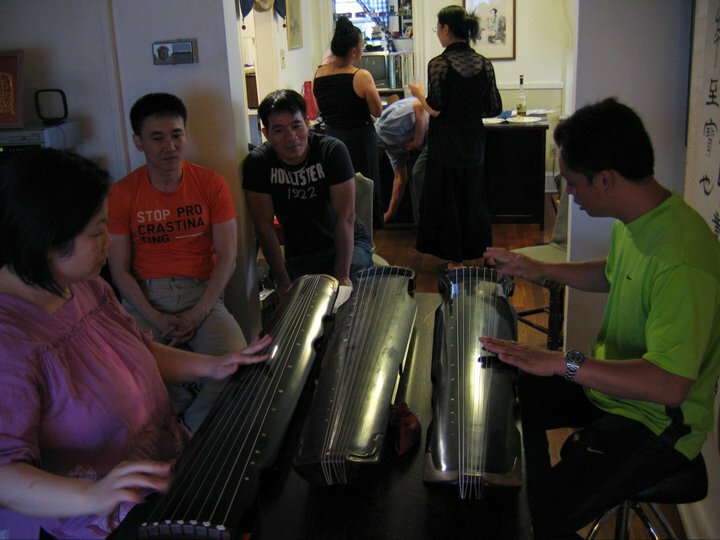 UPDATE: Version 1.1 (coming soon) is going to be EVEN MORE awesome, as “Standards of the Guqin” author Juni Yeung provides assistance in designing features such as external tunings and full-sized qin interface access!